Initial Coin Offering (ICO) is the cryptocurrency equivalent of an Initial Public Offering (IPO), where a company goes from private to public status by selling shares for equity. This is typically done to get funds without the need to go to a Venture Company (VC) or bank. An ICO solves the basic problem of initial coin distribution. So now that you know what an ico is, here is an ico list. On our initial coin offering list, you can find upcoming, running and already finished initial coin offerings! Further below you can find more info about the whole crypto token sales. As you see, there are always many chances to invest in initial public offerings. Hence, we will try to showcase more info about this fast changing environment. Crypto Tokens – Create a new project, for which to work a special currency is needed. The equity is raised via crowdfunding, so everybody can take part of it. Later on, the bought equity can be sold on some specific crypto exchanges. This is similar to startups, so you invest in the idea behind it and hope they get profitable. A crypto equity is equivalent to a crypto token. It is important to note, that most initial coin offerings, should be called token generation events (TGE) since they are based on the ERC-20 protocol and don’t own an own blockchain. The ERC-20 is a token standard that follows specific rules on the Ethereum blockchain. 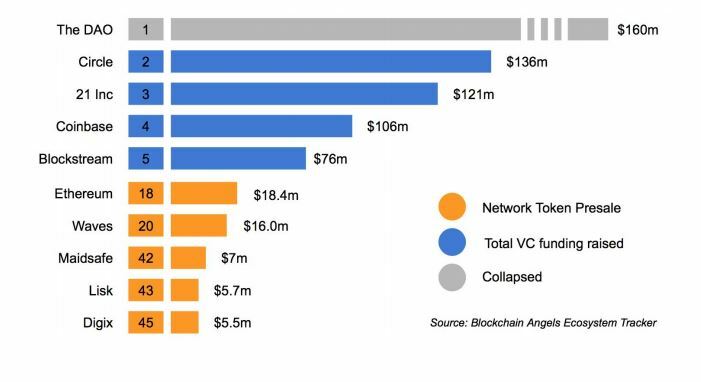 Most initial coin offerings happen on the Ethereum blockchain, few get done on top of the NEO blockchain almost none new blockchain emerge. 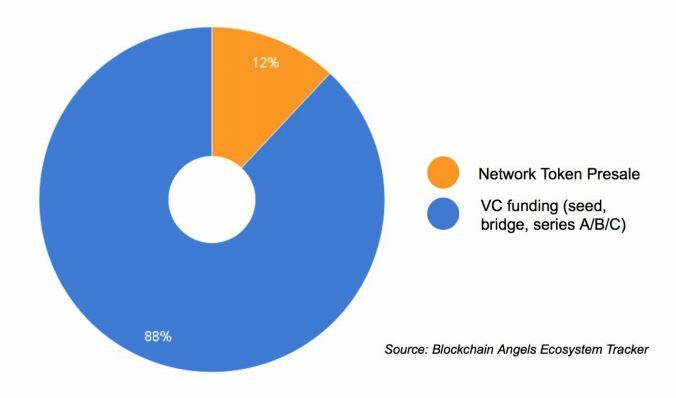 Interestingly, only about 12% of the bitcoin and blockchain projects raise money over a token presale. See pie-chart below. So now you know that you can create a new crypto currency or token – for it being a coin or it being a share out of a project. But let us examine some examples to make the whole a little bit more clear! 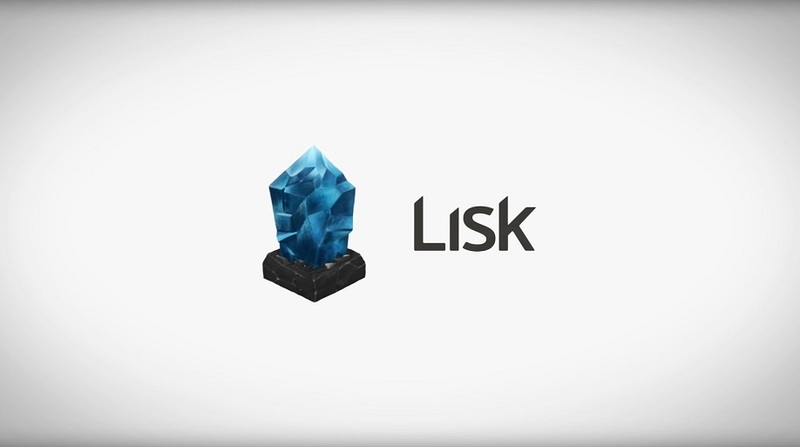 We take as an example Lisk – the first modular crypto-currency. Lisk ICO was in May, 2016. 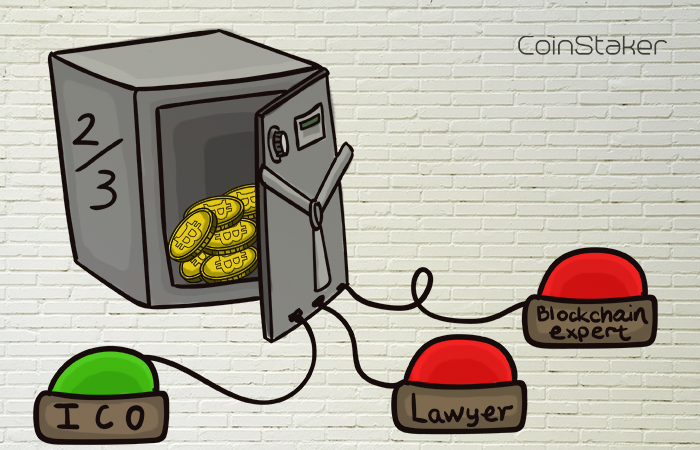 In their initial coin offering, they managed to gather up to 15k Bitcoin. Their core feature is the scalability, where they will be utilizing side-chains as a solution. If this coin will succeed, or not, it depends on how many people believe in the coin. 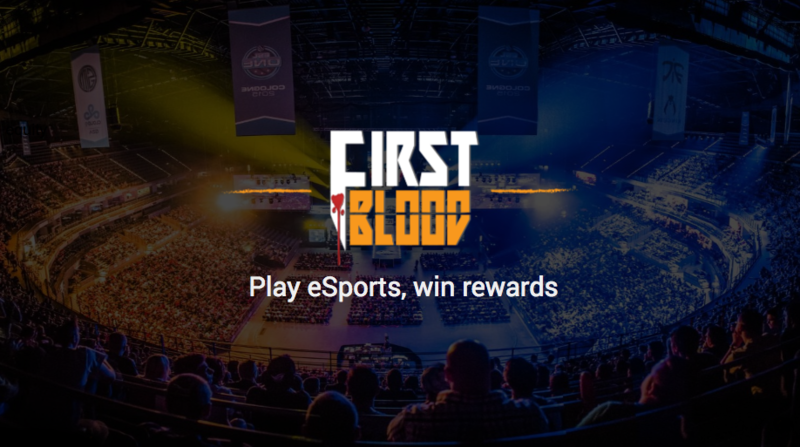 Let’s take FirstBlood.io as an example since they represent the perfect vision of a blockchain startup, which launched in the end of 2016. Slogan and Vision: Building a decentralized eSports reward platform that every gamer loves. Business Plan: Players earn coins by competing in computer games, tracked on smart contracts over the blockchain. People get rewarded by being a jury. What they offer: 1SŦ crypto tokens in exchange for Ethereum. What they need: Money to host tournaments and build up the FirstBlood infrastructure etc. Info about this initial public coin offering taken from their whitepaper. Basically, you are buying stakes of a blockchain startup. We will try to answer one of the most often asked questions on this topic “How to trade ICOs?”. Well, this is simple, an ico crypto token can be traded on every exchange, but only if the exchange accepts it. This means, that for example a crypto coin is listed on poloniex.com but not on bitfinex.com. There are also ICO specialized exchanges like Yunbi and Bittrex. But those are not generally the best ones to trade your icos. How to find the best exchange to trade Initial Coin Offerings? 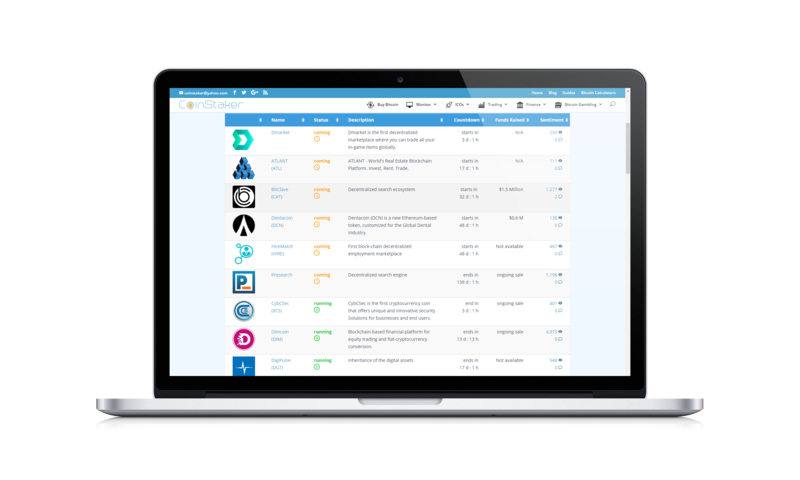 Search for the currency you want to trade. Select the exchange (market) where the crypto token has the lowest price. Now you just need to register there and buy it cheaply. If you need to sell the coin, then just find the exchange with the highest price (step 4) and sell it there. Alternatively, in step 4 you can also take the exchange with the highest trading volume if you plan to trade the ico-token frequently. Here you can find the current (as of writing this article: 30.3.2017) best and worst initial coin offerings. 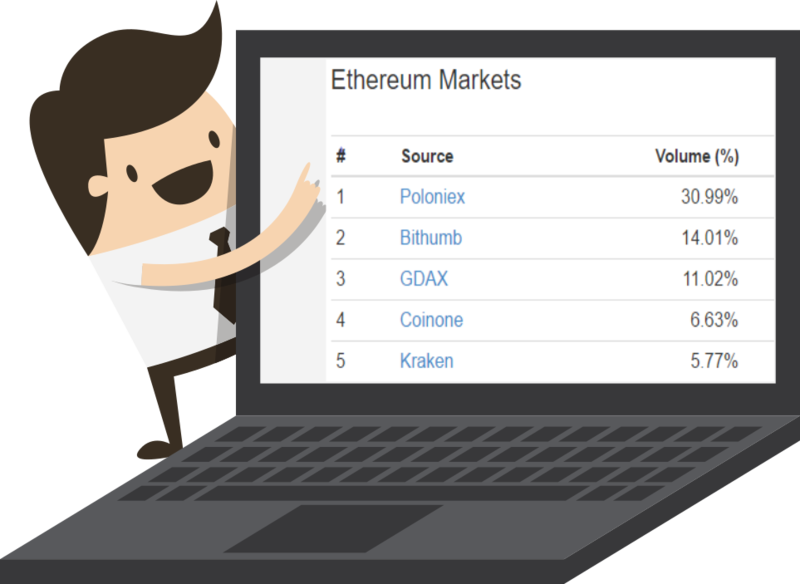 Ethereum and its development was funded by an online public crowdsale in mid-2014. People were able to buy the crypto token Ether for Bitcoin. Ethereum managed to raise a record sum of $18.4 million in their ICO. Criminals always try to create money from thin air. And this is how shitcoins or scamcoins are made. There are many examples, but the biggest ICO scam (as of writing this article: 30.3.2017) that we know is GameBet Coin (GBT)! They stated that they will launch a platform enabling sports and eSports betting. And, also offer a marketplace. They managed to create good looking graphics and even a business plan. Everything looked fine on paper, but sadly they never delivered. This way they committed the biggest ICO scam, worth 268 BTC! So you have bought in a specific Initial Coin Offering, but the tokens never appeared? Well, don’t panic! This is a common problem and you simply need to add a custom ERC20 Token. If you don’t know what an ICO is, then this article is probably not for you. As already mentioned above, everything started as one would expect from the term “Initial Coin Offering” – new coins being generated. Some succeeded, some failed and have never been heard from again. But what were the evolutionary steps that ICOs have undergone? Crime is omnipresent. It doesn’t matter if you focus on the physical world or on the current ICO-ecosystem, there will most certainly always be breach of trust and scamming. Especially when money is involved. The first Initial Coin Offerings that took place after the Bitcoin blockchain network went live in 2009 were Bitcoin forks. The fork was basically a copy-paste of the Bitcoin source-code. Thus, new currencies and blockchains emerged. Most such currencies didn’t have a team, or innovated in any way. They were just set up so the makers could profit on top of others’ losses. Basically, a high tech pyramid scheme. People were lured in to buy these doomed to fail currencies usually over Bitcointalk.com. But how did they manage to issue coins without anybody seeing the scam? Issuing tons of coins to himself in the genesis block (the first block on the blockchain). Initially it worked, but people quickly learned that these scam-artists only wanted to find buyers for for their own coins. Fun Fact: This is probably the biggest critique against the Ethereum ICO. The creators of those new cryptos needed to somehow make their coin look special. They stated the problems Bitcoin had, and said they were going to be Bitcoin v2 by offering some incremental innovations, like reducing blocktime, altering inflation or block rewards, or changing the Proof-of-Work cryptographic algorithm. This is in fact how Litecoin was created. As you can see, this was basically the Wild West. Perhaps not even much different from the current status of the ICOs created daily? At the end of the day, most initial coin offerings back then were classical Pump & Dump schemes. Coins existed until the price and difficulty fell so much, that most exchanges stopped listing them. Only a few ICOs managed to establish a community around their projects. Just a handful really went to the Moon. Crowdfunding has a long history. But it was projects like Kickstarter.com (launched in 2009) what made them explosively popular. This is how the initial coin offerings evolved to the next level and left the pump & dump formula for good. Multi-Sig-Wallets – wallets where M out of N (like 2 out of 3, or 4 out of 5) people need to sign a transaction so it can be broadcasted to the network, got developed around 2013. These were used as a vehicle to structure crowdfunding over our beloved Bitcoin blockchain. Many of the things that we now expect to be in each smart contract were done manually back then. Things like tracking who needs to get how much and giving out bonuses. This was burdensome. 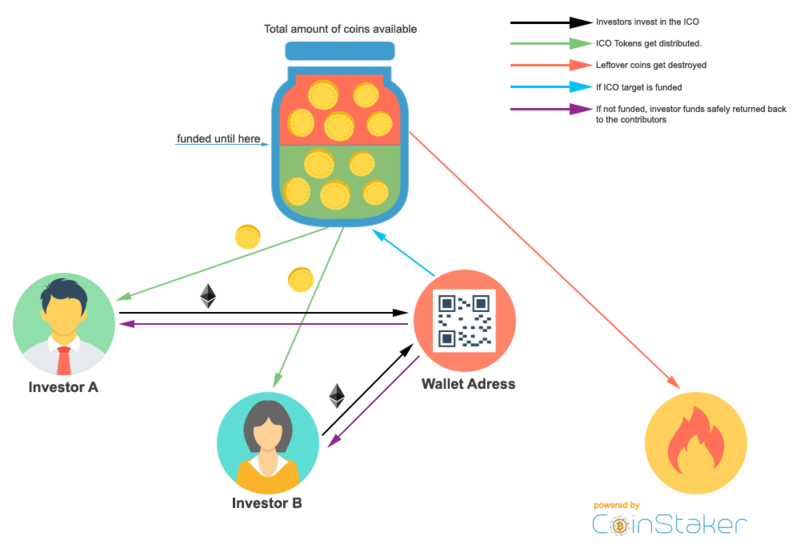 speculative asset, or money transaction system the Multi-Sig-Crypto-Crowdfundings (there’s a new word for you), were born. How were those Multi-Sig-Crypto-Crowdfundings structured? As always, everything started over secret forums threads. But this time, they promised integrity and security of your funds. How? 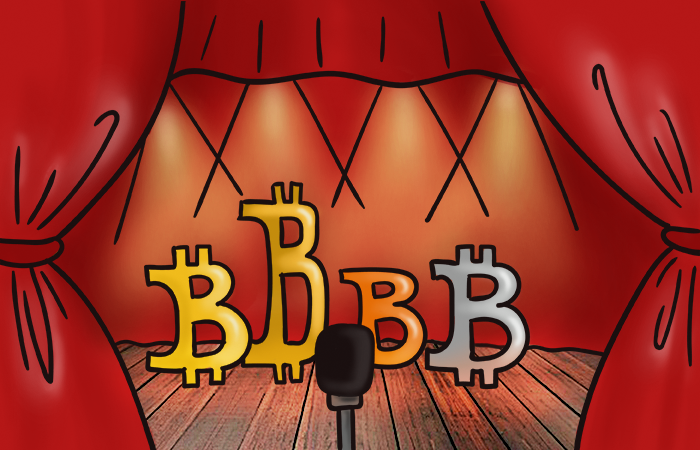 Well, since they used multi-signature wallets to host their initial coin offerings, they invited others to do the escrow and release the funds gathered by this event. One of the parties with access to the multi-sig-wallet is the ICO team itself. The other two are typically escrow-companies, lawyers or known figures in the blockchain space. On the other hand, they guarantee safety, since the funds were to be released only when certain milestones or targets were achieved. This is a good step that got taken back in the next step of ICO-evolution. Nevertheless, we hope it gets back! It was the Ethereum Blockchain that brought us fairly easy but still custom made initial token offerings available. The market was so hyped-up that 2-3 billion USD have been raised by crypto-projects only in 2017. What was the innovation behind the Ethereum Blockchain in context to ICOs? Simply put, the Ethereum Blockchain brought smart contracts to the crypto ecosystem. These are, essentially, automated, self-executing contracts. You can check our more detailed rundown of what smart contracts are right here. Thanks to smart contracts, ICO’s got rid of all their trust issues. If you transfer Ether to the contract, it WILL send you Tokens back. Escrowing also became 100% reliable. That’s not only cool tech-wise, but also allows some legal standards to be skipped. 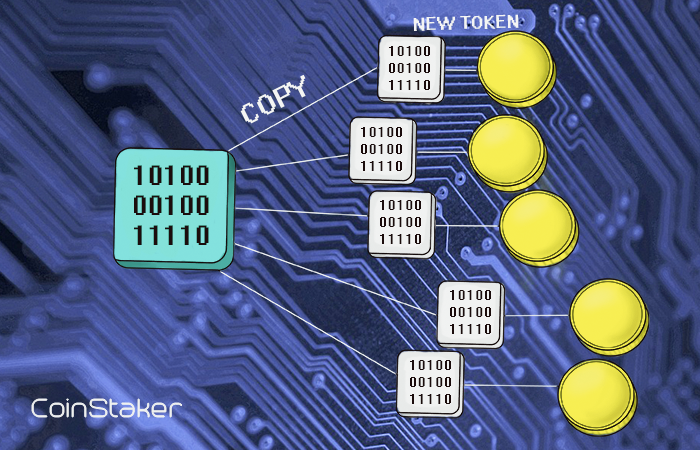 On top of those Smart Contrats, the Ethereum Foundation implemented and introduced the so called tokens that live on the Ethereum blockchain next to the main currency called Ether. They defined a bunch of rules and functions which each token should posses. This is called the ERC-20 token standard. ERC stands for Ethereum Request for Comments. Read more about ERC-20 in this quick article. Quick and Easy – Simply take one of the already existing tokens and make the adjustments you need. Now you not only have a personal token, but also a contract ready to be used as an escrow and trading point. Secure & Decentral – You don’t need to secure the new created blockchain by introducing mining. The Ethereum Blockchain is already secured and decentralized. 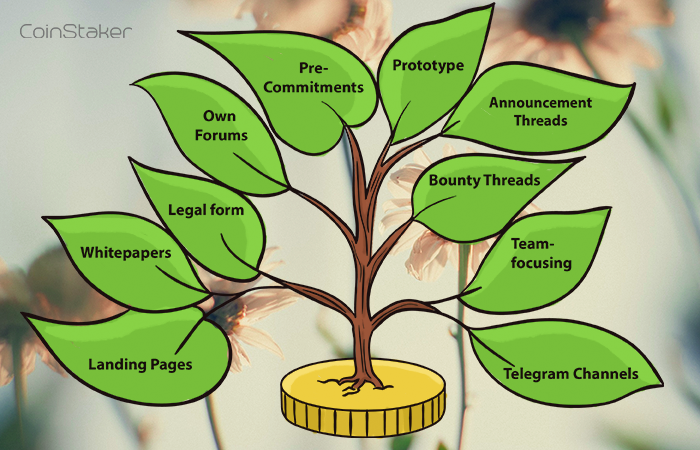 Ecosystem Friendly – There are hundreds of tokens, dapps and systems with which you can easily interact. Just partner up and merge both token functionalities with ease. You don’t like the Ethereum Foundation or think that Vitalik Buterin is using too much Twitter instead of improving Ethereum? Don’t worry. There are actually several other platforms. NEM, NEO, Waves, Lisk, Stratis, Qtum, Neblio, Ark, Minerium, NXT, DeepOnion and soon Cardano; just to name a few. On different ICO platforms you might find cheaper transactions or different code languages with which your CTO is more experienced with. Ultimately, a big project will need its own blockchain and set of rules. What’s the next step in this evolution? Regulation will get stricter and a legal ICO framework will develop. This may spring some unexpected new changes. Uf pushed around too much, IPOs may get totally replaced by ICOs. Or, who knows, perhaps big hedge funds will come join the crypto world. Milestone based funds releases. Most ICOs don’t need the funds they gather on day one. They can be programed to give funds by installments, each tied to milestones of the announced roadmaps. There have been cases where people just run off with the funds, so why not include more often third-party arbiters and/or community voting to unlock the funds? 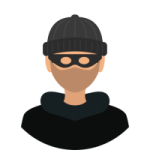 You can trust the crypto world will learn to protect itself against scammers even better. Stock company structure. Very few initial coin offerings manage to pull-off what IPOs do, giving out shares of the company. 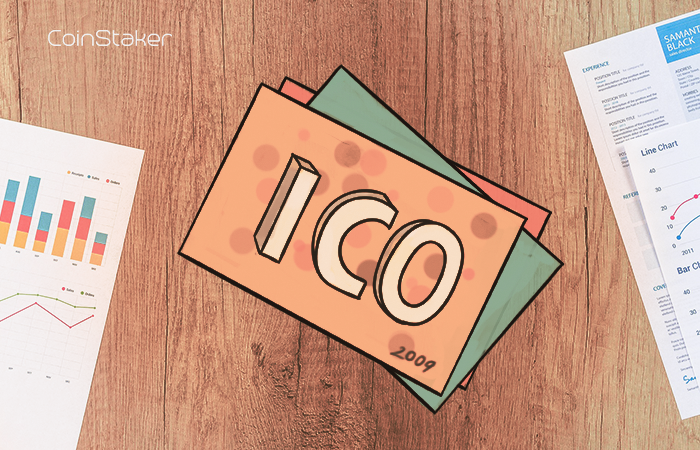 With a good legal framework, some more legal and straight profit-sharing ICOs may pop up. It’s interesting to see how much the Token Sale campaigns have evolved in recent years. Last year was specially wild. Here, we’ll focus on the things each initial coin offering campaign had and used as tools to market themselves. Token trends are bouncing back and forth between utility and security. Some try to offer dividend tokens / shares, but those mostly don’t even possess a legal company. After each evolutionary step each previous method and technique has been added to the ICO marketers’ repertoire. Announcement Threads – Just go to a forum and post something about your project. Cross your fingers waiting for investors. Own Forums – Anyone can create and run a forum. This was used as a primal communicational channel for the community and the ico-team to discuss new features and ideas. Bounty Threads – Probably the cleverest of all ICO inventions. And very Wild West too. Offer rewards and crowdmarket your crowdfunding. Landing Pages – A website showcasing info posted on the forum with a superior look. Slick and professional. Telegram Channels – Telegram Channels managed to overcome the dedicated forums. They are now the golden standard for communication between ICO-Founders, the community and potential investors. They are way easier to set up and more professional. With Telegram, miscommunication is no longer spammed away. Tele is just more serious. Whitepapers – People started presenting their business plan or tech blueprints to the interested ICO parties. Some whitepapers are very detailed. Hard but sometimes necessary reading. Want to know more about about bounty hunter driven marketing? Check out our guide. 8. Legal form – Investors learned the hard way that scam-artists will promise you more than they will ever deliver. You will always be better off having some due-diligence. Or at least having way to get back to the person you are giving tons of money to. Nowadays, if an initial coin offering project doesn’t already have at least one company in founding, it will be marked as scam. 9. Prototype – As of writing this – 9.1.2018 – token investors start to demand to see more than a concept. They want to see and click on stuff. They want a working prototype. Especially as so many underdeliver. 10. Pre-Commitments – It really is not enough to deliver a good pitch. You need to present pre-commitments. A letter of intent or investment or, in some cases, even monetary resources from the founding team. Trust will always be important when investing. This “killer” introduction to initial coin offerings would not be as common as we would wish for if we didn’t also describe the different services surrounding an ICO. This should help a) people who want to launch an ICO and b) investors to understand the anatomy of each initial coin offering. Programming – Development of Landing Page and Smart Contracts is the main activity of this department. This is the foundation of any ICO. The scope could be even as large as creating a new blockchain! Content – Creating engaging press releases and whitepapers. Drawing graphics for the articles and website. Creating catchy banners and ads. Marketing – Bringing the press releases to the front page of crypto and non-crypto websites. Developing a roadmap. Getting the content out there. Socials – Managing the telegram chats we talked about above. Answering all the social media and forum questions the ico investors might have. Keeping the ICO busting with activity. Advisory – This might be strategic ICO consulting, but also helping conduct the blueprints for the blockchain. 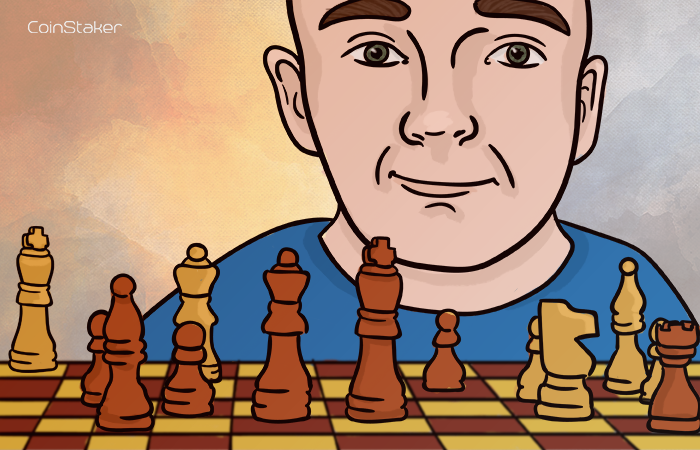 Of course, there are also fake advisors and team members, people who are only there as a picture on the website with a good looking LinkedIn profile. 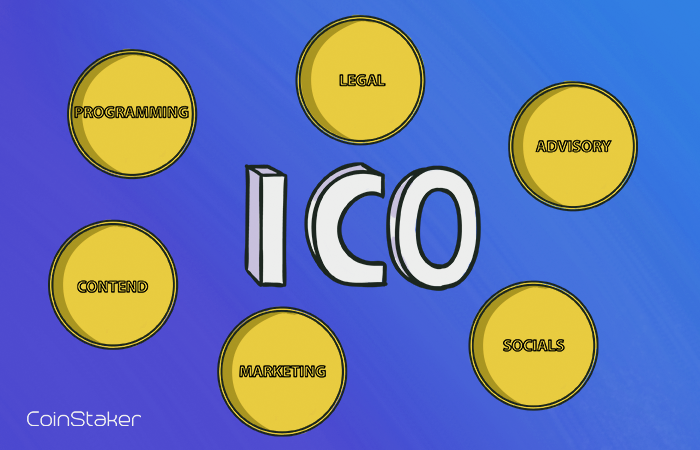 Legal – Lawyers advise on the token model and help construct a company that will acquire all the ICO funds in a legal way. ICO companies normally have a mother company that will make all the developments once the money is released. Looking at those ICO services, some people get the first impression that is easy to launch an initial coin offering campaign. Nothing further from the truth. We’ll tell you more about it in our next guide. As a summary to the whole ico investment, one can say it is tied to high risk and high reward, similar to the bitcoin hyips. A Bitcoin high yield investment will always make some returns, but not always make full returns. A crypto ICO on another hand can skyrocket and more than double your investment in just some minutes. Also, it can happen that you don’t even get a single satoshi out of it. 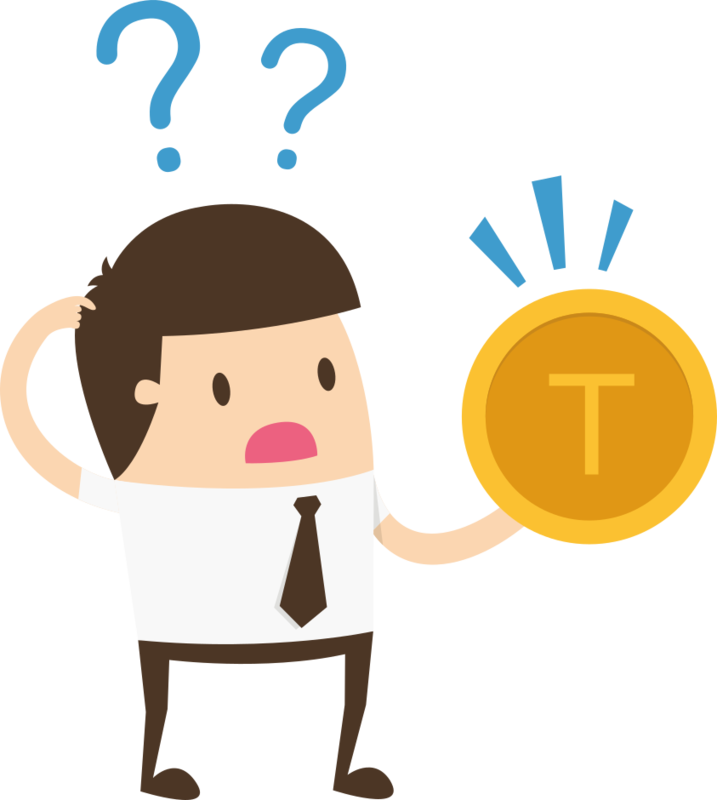 In order to find your investment opportunity, it is important to know the main differences between each ICO and the tokens they offer. ICOs can offer Cryptocurrencies, Tokenized Assets, Tokenized Platforms and Token-as-a-Share. Depending on the archetype of the token, its value will be different. If a currency works in a very useful platform, its price will be for sure higher than a cryptocurrency that has similar attributes than another virtual coin. If you have any comments, or want us to research something and add it up to the article, please contact us directly.